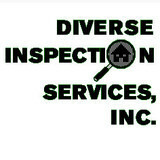 Doug's Bugs Termite Control has over 20 years of experience in Sonoma, Napa and Marin Counties. We have a two business day report turn-around. Exclusion is the humane and life-oriented approach to pest control. Techniques are applied to remove intrusive animals and prevent future use of your building or home by wildlife. Rather than trap and relocate animals, which is illegal and can expose wildlife to diseases and territorial conflicts, AWES technicians identify how an animal is getting in and seals points of entry without trapping the animal inside. The solution motivates the animal to leave the property and reduces the likelihood of other animals getting in. Exclusion is ultimately more effective, more economical, and far more humane than most other services. We focus on the main issues, removal of the animal and sealing of the entry points to keep wildlife from returning. Hovan Pest Control is a family owned Pest Control company in Napa, CA. 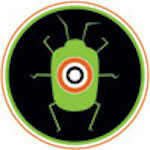 We provide Pest Control services to the Napa Valley area. We are Licensed, Bonded and Insured. We Do Not offer Termite services. Give Hovan Pest Control a call today at (707) 294-2786 and we’ll put an end to your Pest problems once and for all. As a family-owned, independent company, ATCO takes pride in designing pest management strategies tailored to the individual needs and preferences of its clients in the San Francisco Bay Area. Owners Richard and Estella Estrada have over 20 years’ of experience in the pest control industry. ATCO Pest Control clients include: residential homeowners commercial building owners municipalities schools hospitals ATCO’s technicians focus on creating effective, long-term solutions for specific pest problems. ATCO does not require lengthy one-size-fits-all service contracts. As a family-owned, independent company, ATCO takes pride in designing pest management strategies tailored to the individual needs and preferences of its clients in the San Francisco Bay Area. Owners Richard and Estella Estrada have over 20 years’ of experience in the pest control industry. 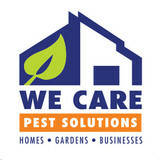 We are a locally owned and operated pest control and pest management company based in Lower Lake, California. We’re licensed, bonded and insured. 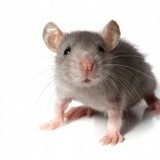 We use only pest control chemicals approved by the state of California. We are honest, punctual, skilled and knowledgeable. We understand our customer and do not force them to get what they don’t want. Customer satisfaction is our goal! Hall Bros. is a family owned and operated business based out of Kentfield in Marin County. We specialize in termite inspections and complete wood repair. 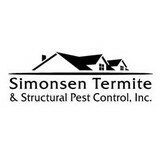 We provide fumigation or localized treatments for all species of termites and wood boring beetle infestations. We provide moisture control and install drainage systems, including sump pumps. Hall Bros. has the perfect solution for your home and is committed to helping you figure out what best fits your needs and budget. We're happy to answer all of your questions and to give you a free quote. Hall Bros. is fully licensed and bonded and has been serving Marin County for 31 years. To give you peace of mind, all Hall Bros. employees have passed a live scan screening process. Unwanted guests are never fun, especially when you can’t ask them to leave. Luckily, Santa Rosa pest control companies have no problem kicking them out. Whether there’s a rodent in your basement or insects in the attic, call your local Santa Rosa exterminator to take care of them — do not try to wrangle them out yourself! Not sure which type of home pest control service in Santa Rosa, CA can tackle your issue? Read profiles and ask about their past experiences to get a good idea.